Chennai presents homeowners with sophisticated residential complexes, with a wide range of amenities. You can buy 2 BHK, 3 BHK and 4 BHK apartments in these estates and experience the classy living facilities in the complex. A number of developers have come up with luxurious residential complexes in Chennai. Particularly, the demand for property in near Porur Chennai has been increasing over the years, due to the enriched social infrastructure of the region. Chennai is known for its commercial importance. The employment opportunities for the residents in Chennai are high, which has increased the demand for quality homes in the region. The prices of property in the region are rising. If you are willing to invest in the properties in Chennai, this is the right time for you. The residential complex comes with a wide range of lifestyle and healthcare amenities. Besides, they can enjoy the location advantage of the residential complexes. 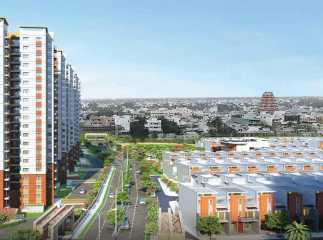 If you are interested in the projects in near Porur, this is the right time to invest in the same.